The agreement lays out in detail how asylum claims can proceed, both for hundreds of families that have been reunified in the U.S., and for children whose parents were deported. In some situations, parents whose asylum claims were rejected at the earliest stage — known as the credible fear interview — will get a chance to present new information. For about a thousand families, "it will get them another shot at seeking asylum," said Lee Gelernt, the deputy director of the ACLU's Immigrants' Rights Project, in an interview. "That's critical, because we don't feel like these families have these separated families have had proper asylum proceedings up until this point," Gelernt said. The Trump administration separated more than 2500 children from their parents before abandoning the policy in June. The administration has since reunited nearly 2000 migrant children with their parents after being ordered to do so by a federal judge in California. As of last week, more than 400 children remained in government custody, in most cases because their parents have already been deported to Central America. In some cases, the ACLU says, parents who were deported without their children can ask the court to allow them return to the U.S. to pursue asylum claims. 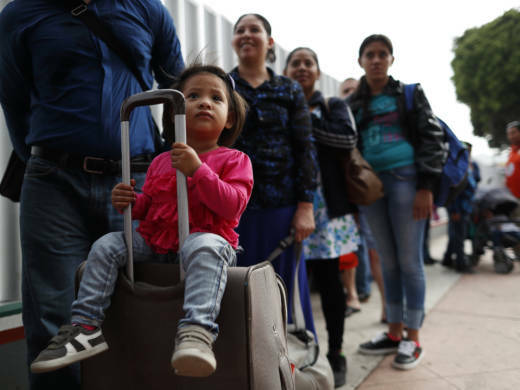 Cases where a parent was "misled or coerced into giving up their right to apply for asylum" might qualify, said Lee Gelernt, if the parent wishes to return to the U.S. and can make a viable asylum claim. The agreement would resolve claims brought under three different lawsuits sparked by the Trump administration's abandoned family separation policy. It still requires approval from Federal District Judge Dana Sabraw, who is overseeing the ACLU's family reunification lawsuit. Details of the agreement are likely to be discussed at a status hearing on Friday. The Department of Justice declined to comment on the proposed agreement.